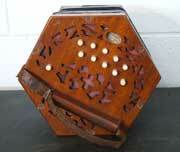 Anglo Lachenal concertina. 20 button. Nr:107338. Brass reeds, great for singing along. 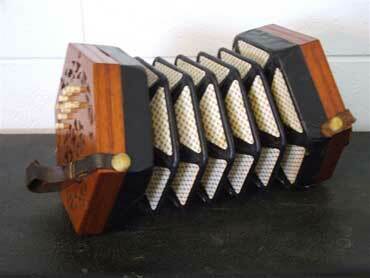 5 fold bellows and retuned from old pitch to A441. Key of GC.